Astronomy for kids is a great way to explore outer space with you child while developing their imagination, critical thinking, fine motor skills, vocabulary and math skills. Learning about the solar system, outer space planets and space crafts might not be exciting for everyone. Even though I have always been passionate and curious about space, I waited until my son showed interest in the topic and only than we began our exploration and learning together. Remember to always keep it meaningful and authentic. 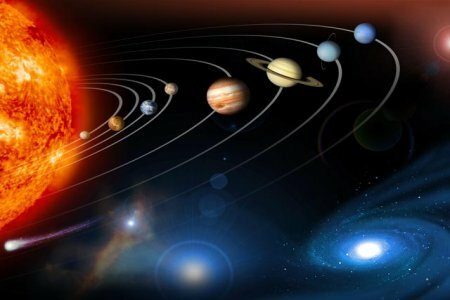 In this section you will find everything from space science experiments, art activities, information about the solar system, space travel and more. Kids! Are You Ready to Explore Outer Space? Your exciting journey to outer space has begun. Feel free to explore all of the space-related topics below. Don't forget your space suit and snacks! A great place to start your journey is by learning interesting facts about the planets, comets and asteroids in our Solar System. Next on your outer space adventure, learn about how astronauts get around while they are in space. Do you have a large cardboard box at home? Perfect! Turn it into your own space shuttle. It is now time to get messy and apply all your learning with these easy activities and experiments that will help develop your child's skills. Continue expanding your child’s learning with these Awesome and Affordable (my double AA rating) toys, puzzles, rocket bedding, glow in the dark stars and more... In this case the sky is truly the limit. Marc Garneau - This extremely kind and approachable Canadian astronaut was willing to be interviewed by a five year old aspiring space explorer. Mission Complete! The last stop at your astronomy for kids adventure is to name a star!